Special offer! 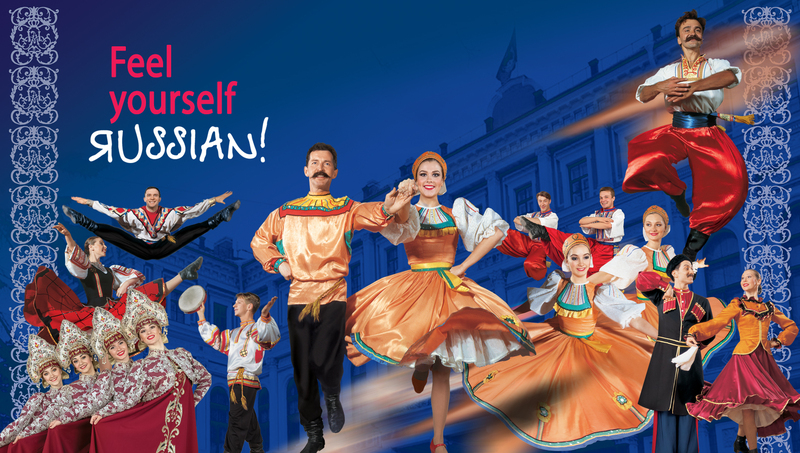 Buy a ticket to the folk show “Feel Yourself Russian” and get free two-way transfer and a 50% dinner discount! Whatever deep the emotional sensations at the Russian folklore may be, they are certainly emphasized by a magnificent interior of the Palace. It is a fine specimen of architecture of the 19th century built to the design of the famous German born Russian architect Andrey Stakenshneider for Emperor Nikolay I'st son, Grand Duke Nikolay. Due to this fact, the current name of the former Grand Duke's residence is the Nikolayevsky Palace. Enjoy this unique opportunity of getting acquainted with the history and cultural traditions of Russia! 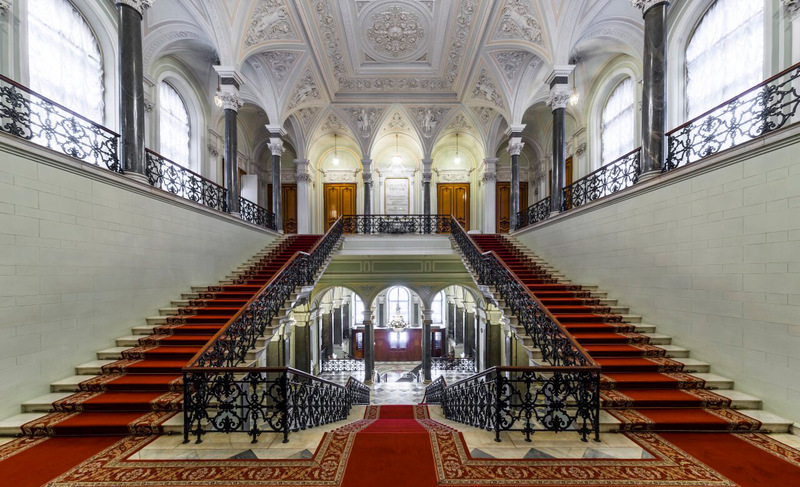 Classical quartet is playing lovely melodies of the XVIII th century, two stunning ladies in crinolines and a handsome gentleman in a wig (ballet trio "Reverence") are welcoming guests at the Gala stairs of the Palace. How nice to be a guest of the Grand Duke! 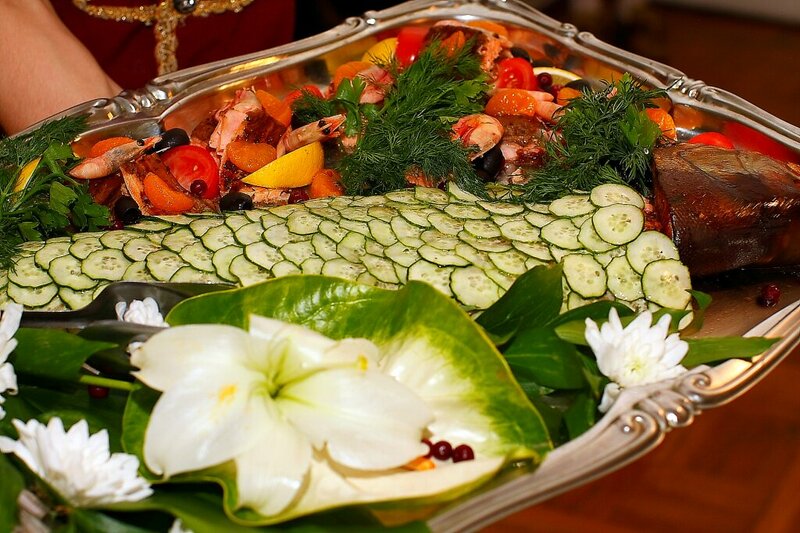 The restaurant “Grand Duke” offers you to hold a celebration of anniversary, wedding, corporate banquet or just have a nice dinner with your family in the atmosphere of luxury and opulence. Splendid interiors of the Nikolaevsky Palace, white tablecloths and antique chandeliers with candles revive the atmosphere of Tsar’s Russia and create a sense of some mystery and warmth. Waiters dressed in camisoles and wigs in the style of the 19th century kindly greet the guests and help them feel comfortable during the evening.